If you have visited many beaches, the Honokalani Beach is one that you can consider a photographer’s dream. 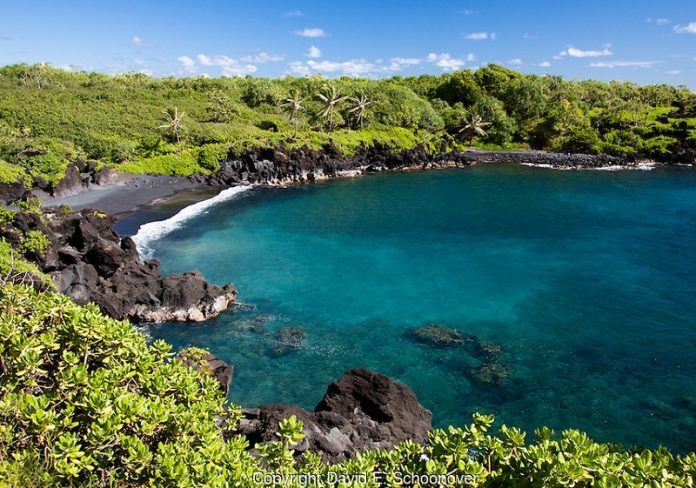 Its sandy beach is actually composed of tiny lava pebbles. You can even find lava tubes along the seaside and some sea caves along the shore.